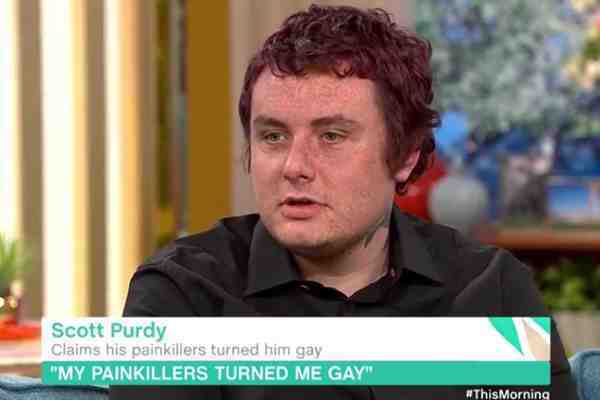 A British man claims painkillers turned him gay. Appearing on Britain's This Morning, Scott Purdy, 23, said that he was straight and attracted to his girlfriend before he started taking painkillers. Purdy was prescribed Lyrica (Pregabalin) for pain after a go-karting accident. He said he decided to stop taking the medication because he began feeling attractions toward men. Purdy said that he's since broken up with his girlfriend and is happy. “I've been on Pregabalin myself. I'm sorry to say it didn't make me any gayer,” he added.